Despite mountains of evidence shredding the DEA’s claim cannabis has no medical value, the agency continues to wage war on the invaluable plant, spending millions on an anachronistic “marijuana eradication” program with egregiously wasteful results — like last year’s $58,400 allocated to Utah — where it found exactly zero plants. As journalist Drew Atkins discovered via a records request, that’s $58,400 in tax money taken from the American public, who, overwhelmingly in recent years have come to favor the eradication of cannabis prohibition — rather than cannabis. Nearly as absurd as the Utah marijuana eradication attempt, the Washington Post reported, the Drug Enforcement Administration gave the State of New Hampshire $20,000 last year for eradicating the marijuana — and netted a single grow operation comprising a mere 27 cannabis plants. As the Post calculated, American taxpayers shelled out $740.74 for each plant in that meager and unnecessary bust. Nevertheless, the DEA continues its vain attempt to wipe out marijuana from the United States at our expense — whether or not taxpayers approve — and, in many cases, regardless of its legal status. Although reduced from a budget of $18 million in 2014, the annihilation of the cannabis plant still somehow necessitates $14 million this fiscal year, the Post noted, delegated to states in wildly disproportionate amounts, with some — like Alaska, Vermont, North and South Dakota, and Colorado — not receiving any funding at all. A mishmash of varied laws governing the legality and criminality of marijuana have resulted from federal prohibition — an outdated and unpopular ban reinforced by the FDA and DEA recently after intimations the harmless plant might be rescheduled so as not to be considered as dangerous as heroin and cocaine. This war on weed has clearly outlived any pretense of legitimacy and merely serves to fund for-profit prisons, flood courts, and permanently mar the records of otherwise non-violent, non-criminals. Last year, FBI data revealed a stunning 643,000 Americans — one person every 49 seconds — had been arrested for possession of cannabis. That constitutes 43 percent of all drug arrests in the United States — where fully half the states have legalized medical use, four have fully legalized cannabis, and at least seven have incredibly popular initiatives for the November election that are either new or expansions of existing laws. Although it hasn’t been given a snowball’s chance in hell at passing, New Jersey even proposed a law in September where weed would be treated like cigarettes — and sold in convenience stores accordingly to anyone aged 19 or older. Cannabis prohibition, and its parallel utterly wasteful eradication program, has outlived any viability and credibility it once might have, if ever, claimed. It’s time — and has been for decades — to end the war on drugs. 11 Comments on "DEA Just Squandered Tens of Thousands on a Single Bust to “Eradicate” Non-Existent Pot Plants"
What is it that the American people cannot get though their heads? Have they lost the ability to reason or think? If entities paid for and by taxes are not following the will of the people you are paying for a gang to defy you. You’re paying for illegitimate people to abuse you. You need to think about that real hard. You’re paying for people to ignore the law and abuse their power in ways that harm you. With people like this who needs criminals. It’s one thing if you are taking steps to defend yourself but to continue enabling your abusers is a sign of insanity. The more you do nothing, the more contempt they will have for you and increase their abuse, so if you think you are somehow escaping the criminals by being subservient, you couldn’t be more wrong. I still wonder what has happened to the minds of the American people to embrace their abusers like this? The mainstream media is just one of the MANY tentacles of the globalist Satanic ORGANIZED CRIME SYNDICATE that is hell-bent on destroying America & freedom and all that is good. The illegitimate people you describe are criminals. They are leaders in USGov, people we have elected and many whom we have NOT elected, but were installed in their positions by criminal leaders. Most of that money goes into the pockets of the Satanic politicians who passed the legislation & appropriated the funding & into the pockets of their criminal bureaucratic cronies who are supposedly “enforcing the ‘law’ “. The pharmacy industry if only one of the numerous criminal agencies and criminal leadership that support keeping cannabis on the illegal list. The private prisons are kept full with the suppression of cannabis. Just think of all the little police forces around the US that get additional DEA money, which is used to hire an additional cop who seeks out school kids to hammer. Thanks for the in depth explanation of their criminality. Plz goto the link and read all the curative properties that the criminals in USGov, Pharma, AMA, and FDA are denying in all public releases. Genuine cannabis oil also has similar healing properties, and cannabis oil can be obtained without violating the stupid law. Best Regards, doc b.
HillBIllary beast when selected by the rigged voting machines will tighten the strings on Cannibis and put pressure on the states that have nixed the prohibition. In the mean time : The good folks of Colorado and Washington and a couple of others have spoke. Move to Colorado and imbibe all you wish, for the health of it. This while the State police in those States are the ones responsible for trafficking it into your Neighborhoods-! check out how Eco Terrorist, Big pharma Monsanto- (others ) like the United nations, criminally wiping out all medicinal Hemp, World Wide for over 30 plus years-! How about the US military in Afghanistan-! implementing their Eco Terrorism w/ US Soldier Patsy’s. re planting Big Pharma Monsanto Hemp-! guarding it-! 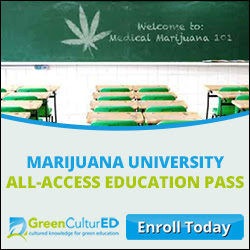 Marinol Weeding–>> all the Cush–Afghanistan hemp -! this going back before the Wrong Way Worriers False Flag Terrorism, projects ever got started-! for Eco Terrorist, control & gain-!